Parker Lynn Holsapple, 81, of Marion died Saturday at Western Baptist Hospital in Paducah. Mr. Holsapple was retired from U.S. Steel- Gary Tube Works, a member of Emmaus Baptist Church and Liberty Lodge F&AM 580. He was preceded in death by his wife, Patricia Lou Holsapple; one granddaughter; and his parents, James and Lillie Winters Holsapple. He is survived by two sons, Jimmy Holsapple of Chesterton, Ind., and Rickey Holsapple of Dycusburg; one daughter, Darlene Peterson of Chesterton; two brothers, Jim Holsapple of Seville, Fla., and Jerry Holsapple of Crescent City, Fla.; one sister, Elouise Truitt of Crescent City; five grandchildren; and seven great-grandchildren. Services will be at 11 a.m. Wednesday at Myers Funeral Home in Marion with the Rev. Lonnie Knight officiating. Burial will follow in Asbridge Cemetery. Friends may call from 5-8 p.m. Tuesday at the funeral home. Masonic services will be at 6:30 p.m. Tuesday. 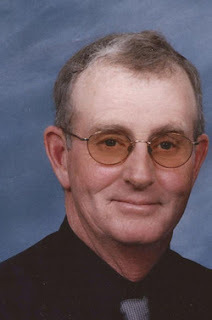 Mr. Harold Wesley Wring, 76, of Salem, Ky., passed away Saturday evening at his home. He was a member of Pinckneyville Baptist Church where he was a song leader for over 30 years. Mr. Wring was a member of the Laymen Quartet, and loved to sing. He often said, “I will sing at the drop of a hat ... and I’ll drop the hat.” He was an avid St. Louis Cardinals and University of Kentucky Wildcat fan. He loved spending time with his grandchildren which were his pride and joy. He is survived by his wife of 44 years, Clara Marlene Wring; six children, Katherine Blanton of Leesburg, Fla., Deborah Loyd of Burna, Ky., Cheryl Driver of Salem, Ky., Lola Nelson of Leesburg, Fla., and Kevin Wring of Salem, Ky., and Eric Wring of Salem, Ky.; two sisters, Louise Kitchens of Salem, Ky., Donna Faye Vanhooser of Newburgh, Ind. ; and one brother Tom Wring of Salem, Ky. Grandchildren, Angel Vines, Amanda Hunter, A.J. Blanton, Justin Loveless, Wesley Wring, Elijah Wring, Isaac Wring, Lauren Wring and Logan Wring; great-grandchildren, D.J. Vines, Destiny Vines, Monty Nelson and Jaycee Nelson. He was preceded in death by his parents, James V. and Gladys P. Patton Wring; and two grandchildren, Chad and Josh Nelson. Funeral services will be Tuesday at 2 p.m. in the chapel of Boyd Funeral Directors with the Revs. Leslie Joyce and Jim Wring officiating. Burial will follow in Tyners Chapel Cemetery. Friends may call after 5 p.m. Monday in the chapel of Boyd Funeral Directors. Condolences may also be left online at boydfuneraldirectors.com. After some twenty years without telephone service in and around Dycusburg, Ky., the people are again able to call up their neighbors for a chat or call a doctor by long distance. 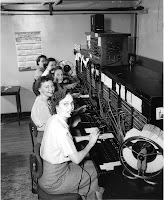 The Salem Telephone Company has a newly installed line to Dycusburg which at present has ten subscribers and more to be added later as material becomes available. The Salem Company is planning to install some hundred or more telephones in that community and are also planning on a dial system which will make service more prompt and also make it possible to serve more subscribers. 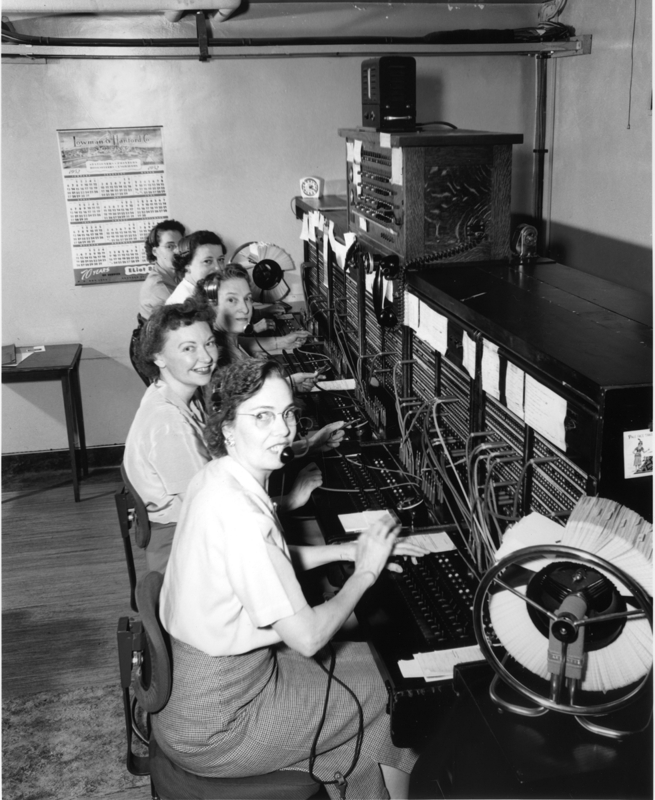 The telephone company is owned by Bill Boswell and William Butler who service and install their own equipment. They have a very efficient Mrs. Boswell as operator at the board. Mr. Steve "Pee Wee" Oliver, 59, Fredonia, KY died Thursday, November 17, 2011 at 11:57 AM at the Caldwell Medical Center ER. He was a carpenter, formerly the fire chief of Fredonia and a member of Southside Baptist Church. Steve is survived by his mother, Geraldine Riley Olver, Marion, KY, son and daughter-in-law: Zak and Kelly Oliver, Caldwell County, KY, daughter and son-in-law: Darrah and Rusty Crawford, Paris, TN, brother, Michael Oliver, sister, Lori Tyson, Greenwood, IN and seven grandchildren, Laynee Thornton, Aden Crawford, Greyson Crawford, Levin Crawford, Alex Oliver, Isaac Fraliex, Mia Oliver. He was preceded in death by his father, Kenneth Oliver. Funeral services will be held Monday at 11:00 AM at Morgan's Funeral Home with Bro. Gerald Cannon officiating. Visitation will be from 4 to 8 PM Sunday at Morgan's Funeral Home. 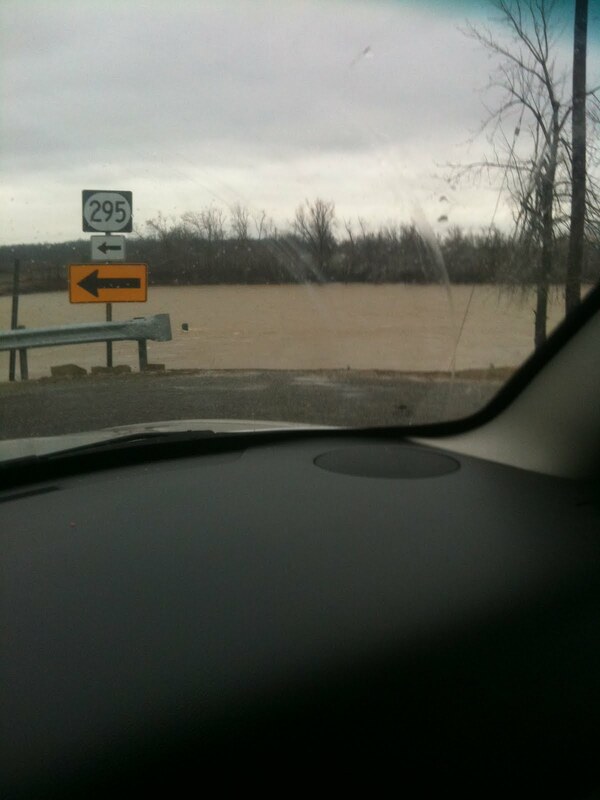 Burial will be in the Rowland Cemetery in Caldwell County. I have a letter dated October 11, 1889 on stationery from the Marion Roller Mills, office of J.B. Kevil and A. U. Lamb. The letter is from my great-great grandfather, Andrew Jackson Fincher to his wife concerning the condition of his son, John. John's legs had been crushed in an accident and he died on Oct. 15, 1889. I can only guess that the accident happened at the Marion Roller Mills since the letter is on their stationery. Does anyone know if there was a newspaper in the area at this time? Maybe there was an article about the accident or his death. I've so far not been able to find any death or burial records for John. He was from Robertson County, Tennessee. I would appreciate any help or information. Contact me at goad@bellsouth.net. Thanks! PRINCETON, KY -- A Lamb family reunion will be held on Saturday, Oct. 8, at noon at Princeton Tourist Welcome Center. 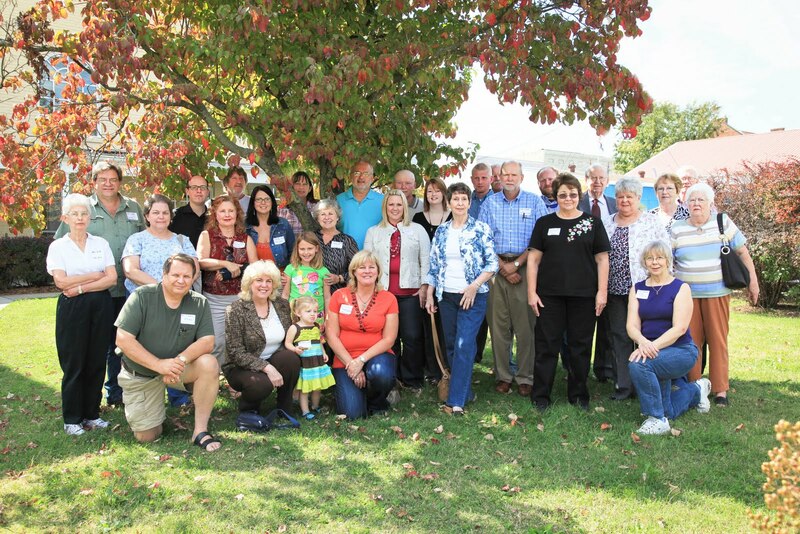 Descendants of Thomas and Alice (Longshore) Lamb are welcome to join us for a fun afternoon of visiting and fellowship, meeting new family members and sharing genealogical information. Longshore and Sarah (Lee) Lamb and their nine children migrated from Spartanburg County, SC to Caldwell County, KY in the early 1800's and were among the earliest settlers of Caldwell County. Longshore's younger brother John Lamb, his wife Sarah (Fincher) Lamb, and their four children also migrated to Caldwell County, KY in the early 1800's. Several descendants of Longshore's older brother Thomas Lamb and his wife Sarah (?) migrated first to Tennessee and then into counties in the Jackson Purchase area of Kentucky. Afternoon activities will include a short program by Sharon Lamb Davis and a talk by historian Odell Walker who will speak about life in Caldwell County during the early Lamb years. Come join us, bring your old Lamb family photos, family histories, and any family heirlooms that you would care to share with us. A catered Southern style lunch will be served. The price for the meal is $15.00 per person. 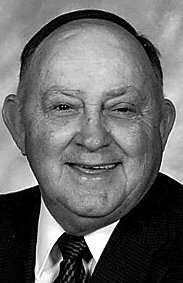 MARION — Lafe Kenneth Linzy, 86, of Marion died Friday at Crittenden County Hospital. He is survived by his wife, Inez Linzy; seven children, Darrell Linzy, Donna Haire, both of Marion, Danny Linzy of Carmi, Ill., Marlon Linzy of Henderson, Phyllis O’Neal of Marion, Rita Templeton of Clay, and Deitra Beavers of Marion; three sisters, Juanita Green of Lyon County, Betty June Young and Mary LeFan, both of Marion; 23 grandchildren, and 31 great-grandchildren. He was preceded in death by three brothers. His parents were Ray and Vada Linzy. Services will be at 1 p.m. Monday at Gilbert Funeral Home. Interment with military rites will be at Mapleview Cemetery. DYCUSBURG — Maxine L. Matthews, 84, of Dycusburg died at 8:25 p.m. Monday at Christian Care Center in Kuttawa. She was a member of Frances Baptist Church. 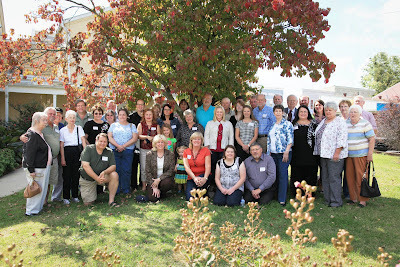 Survivors include five sons, Timmy Matthews and Jerry Matthews, both of Princeton, Charles Matthews and Jeff Matthews, both of Dycusburg, and Howard Matthews of Tiline; two daughters, Frances Holloman of Princeton and Patricia Szarka of Jewett City, Conn.; one sister, Kathleen Matheny of Shelbyville, Ill.; four half sisters; 20 grandchildren; 28 great grandchildren; and two great great grandchildren. 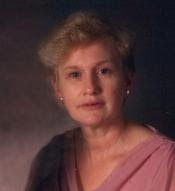 She was preceded in death by her parents, Perce and Neva Holder; her husband, Laymon Matthews; one son, David Matthews; two daughters, Sheila Matthews and Cindy Smith; one grandson, Raymond Matthews; two brothers, three sisters and one half sister. Services will be held at 1 p.m. Thursday at Dunn’s Funeral Home in Eddyville with Rev. Lonnie Knight officiating. Burial will follow in Dycusburg Cemetery. Friends may call after 5 p.m. today at the funeral home. This week, the area lost two men from the generation that newscaster Tom Brokaw appropriately coined "The Greatest Generation." We extend our sympathies to the family of William T. "Skee" Kinnis, PFC Army, 1942-45 Germany 83rd Div. Kinnis, 90, died on Saturday. Burial in Asbridge Cemetery. Also, on Sunday, another veteran from Crittenden County passed away: William T. "Muff" Griffin, age 85, SSL 3/C Navy, S Pacific, 1944-1946. Burial in Dycusburg Cemetery. A birthday party for Lola Mae Patton was held Saturday, Feb. 5 at the Seven Springs fellowship hall with nearly 85 in attendance. She turned 90 on Feb. 3. The family extends a warm thanks to everyone who attended and brought gifts. The Dycusburg Community Group is gathering public commentary about a newly instituted project in Dycusburg. 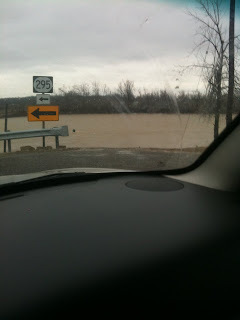 The DCG was approached to spearhead an effort to extend the guard rail or similar barrier at the bottom of the hill on SR 70 adjacent to the Cumberland River. Extending the guard rail, the group feels, is a necessary preventive measure. To weigh in with your comments, please e-mail dycusburg@yahoo.com or find Dycusburg.com on Facebook. Share your news by e-mailing matthewtpatton@yahoo.com. 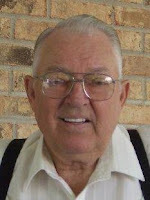 DYCUSBURG, KY - William Thomas "Mutt" Griffin, 85, of Dycusburg, passed away Sunday, February 27, 2011 at his residence in Dycusburg. He was preceded in death by his wife of 62 years, Mary Lou (Ramage) Griffin, who died June 15, 2007 in Dycusburg. He was preceded in death by a son, Dennis Lee Griffin. Arrangements are incomplete at Lakeland Funeral Home In Eddyville. Burial at Dycusburg Cemetery will follow services. William Thomas "Skee" Kinnis, 90, of Marion, KY died Saturday at Crittenden County Hospital in Marion, KY. He was an Army Veteran and member of Seven Springs Baptist Church. 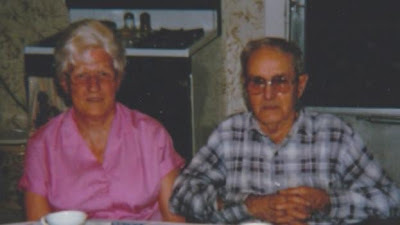 Surviving is his wife, Lillie Edna Kinnis of Marion, KY; daughter, Becky (Chuck) Conner of Marion, KY; grandson, Charles (Julie) Conner of Marion, KY; great grandchildren, Faith and Alexzander Conner of Marion, KY; sisters, Wilma Stromatt and Gladys Donahue both of Lake Village, IN and Lena Miller and Sandy Martin both of Marion, KY; brothers, Barney John Kinnis of Dycusburg, KY, Arthur Ray Kinnis of Lake Village, IN and Elvis Kinnis of Hopkinsville, KY. He was preceded in death by his son, Randall Dowell Kinnis; parents, Thomas Liner and Rose Kinnis and three brothers. Services are scheduled for 1 PM Tuesday at Gilbert Funeral Home in Marion, KY with interment in Asbridge Cemetery. The family will receive visitors from 5-8 PM Monday at the funeral home. Military rites will be given at the cemetery on Tuesday. 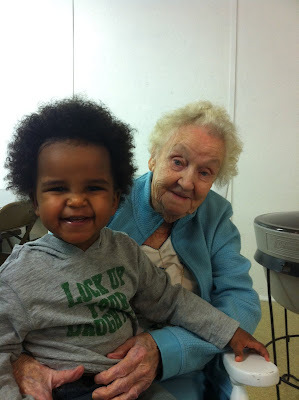 Lola Mae Patton (born Feb. 3, 1921) celebrated her 90th birthday on Saturday, Feb. 5 at Seven Springs Baptist Church with a crowd of nearly 85 people consisting of children, grandchildren, great-grandchildren, great-great grandchildren, cousins, nieces, nephews and family and friends. Lola Mae is the daughter of Francis Marion Doom and Addie Lee (Duncan) Doom. Her husband of 56 years, Denver Patton, died in 2006. She's pictured here with Cullen Beckner, son of Spud and Stacie (Holder) Beckner.